My daughter was reading this in a NT college class so I read along with her. 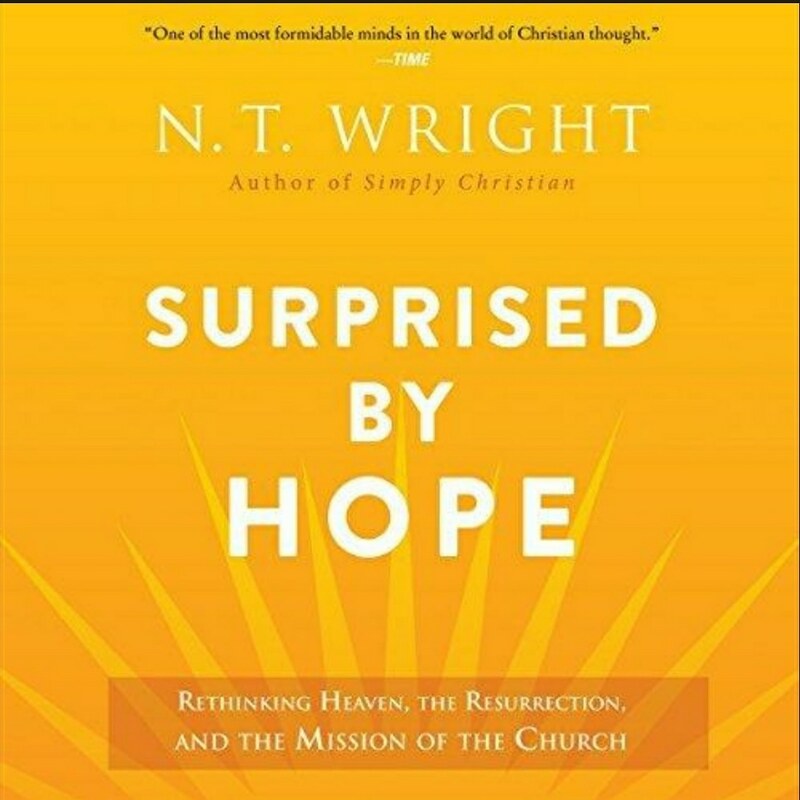 This is Wright’s attempt to refocus Christians on the resurrection that happens at the point of salvation, here and now, instead of a future hope in an otherworldly heaven. I found the book to be both challenging as well as explanatory. 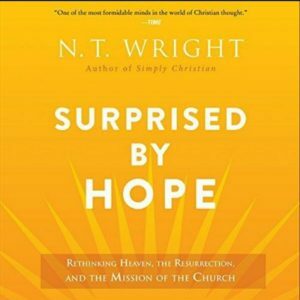 Challenging in the sense that we can work towards bringing the Kingdom here without going full Social Gospel, which I think can become a works oriented, and sometimes idolatrous, gospel. We can find a balance between God does the changing/ fixing and we were created for good works. It’s a balance that I haven’t solved, but I’m convinced I should be doing a better job living the Kingdom now. It was also explanatory in the sense that I have, seemingly apart from Christianity, come to believe that the escapism of the modern western church is wrong and that I feel strongly that certain injustices should be addressed. I believe that mistreatment of creation (environment) and animals (factory farms) is wrong, that the enslavement of people literally and through debt or poverty is wrong, and that the wrongs we see around us aren’t just supposed to make us upset or tut-tut, but should spur us to action. Feeling that way but being raised in a Western church didn’t mix and didn’t give me a justification for these feelings being Biblically based calls to action and definitely not connected to resurrection or the Kingdom. Wright connected the dots for me.